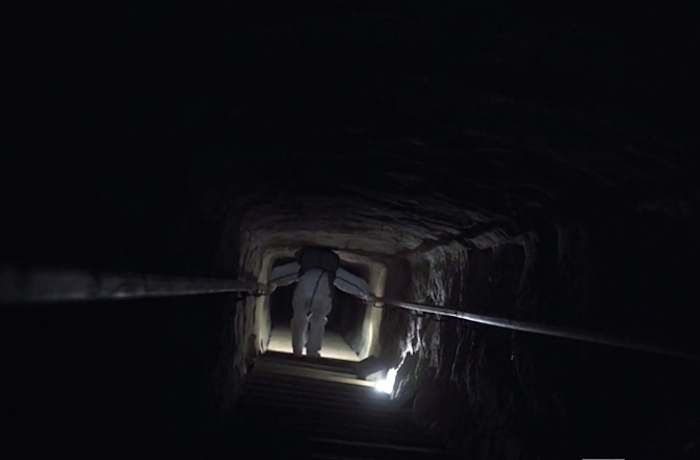 Some 40 plates have been placed inside the Bent Pyramid in Dahshur in an attempt to capture cosmic particles, Egypt's Ministry of Antiquities announced early today. 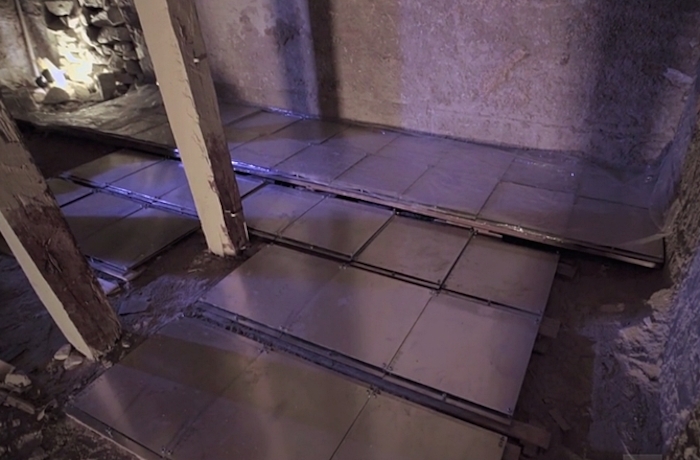 The installation (explained in this video) is part of an ambitious project using muons, or cosmic particles, to investigate Egypt’s main pyramids. 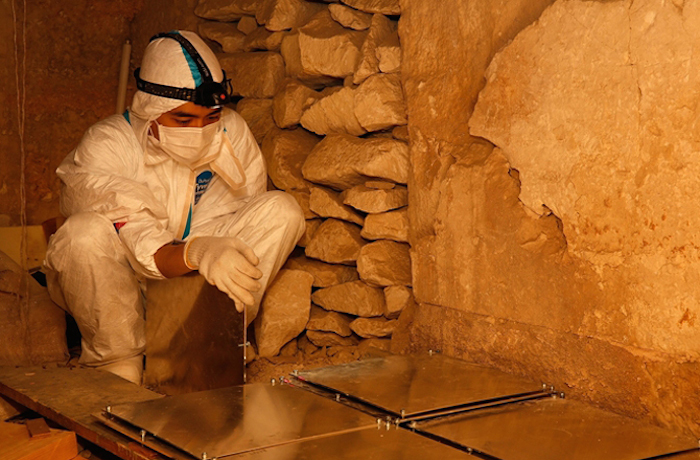 The aim is to detect the presence of unknown internal structures and cavities within the pyramids and learn about the monuments’ construction techniques. 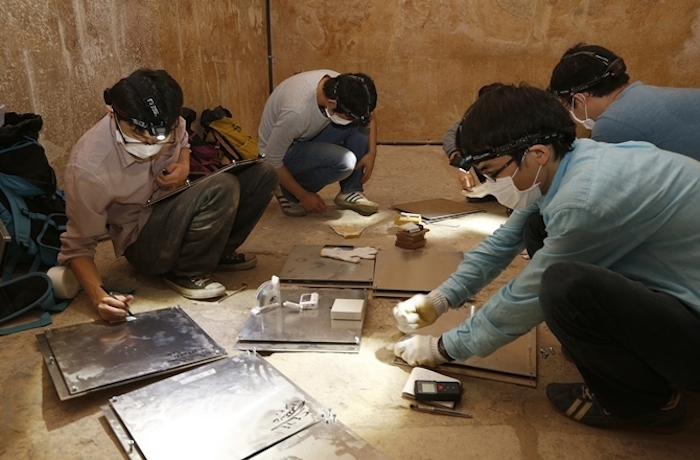 Called ScanPyramids, the study is in its first stage and is being carried out by a team from Cairo University’s Faculty of Engineering and the Paris-based non-profit organization Heritage, Innovation and Preservation under the authority of the Egyptian Ministry of Antiquities. 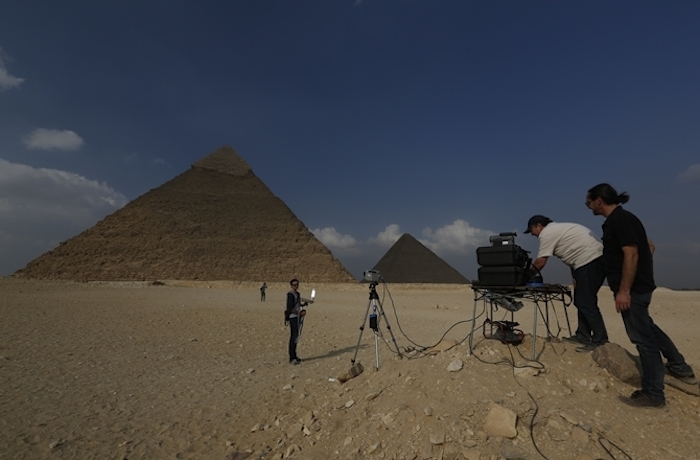 The project uses a mix of innovative technologies such as infrared thermography, muon radiography, and 3-D reconstruction to look inside four pyramids, which are more than 4,500 years old. 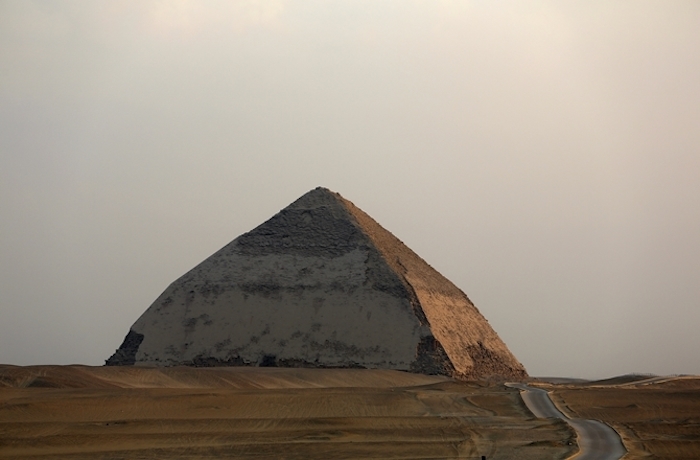 They include Khufu, or Cheops, Khafre or Chephren at Giza, the Bent pyramid and the Red pyramid at Dahshur. 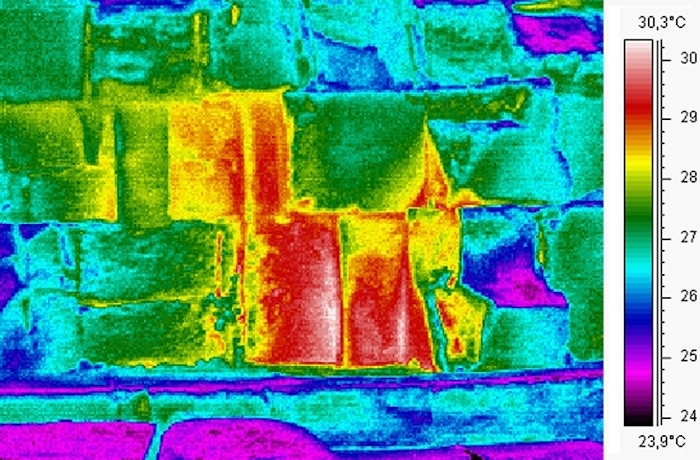 "The first phase, consisting in a short infrared survey, has been completed on 8 November 2015. 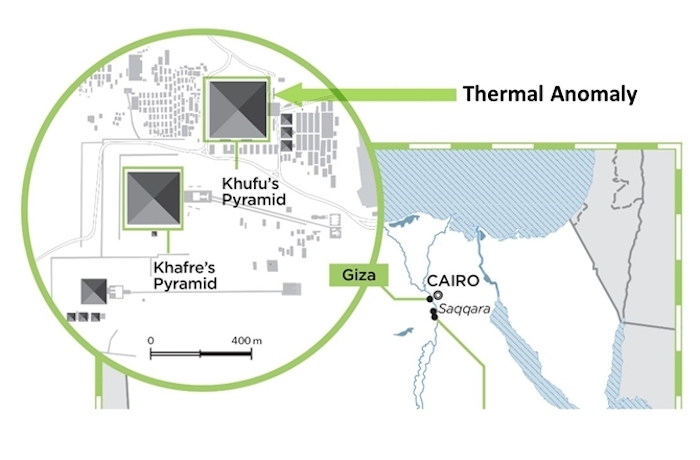 We have already revealed one of the most important thermal anomaly on the east face of the Great Pyramid," explained Mehdi Tayoubi, co-director of the ScanPyramids mission with Hany Helal, professor at Cairo University's Faculty of Engineering and former minister of research and higher education. “The rest of the results will be announced in January 2016,” he added. 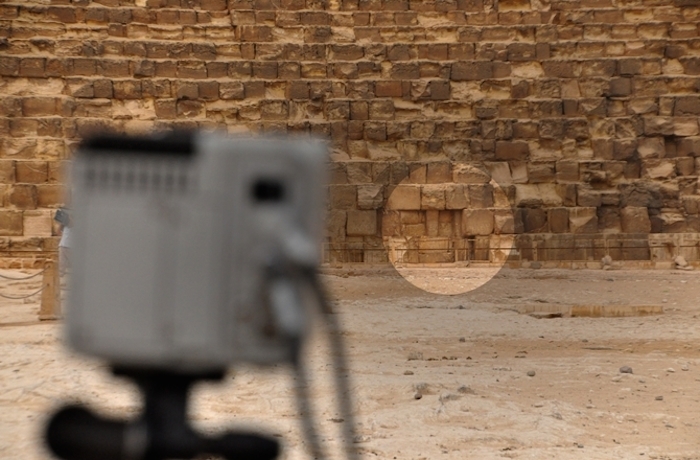 The current work focuses on a muon radiography survey and the first pyramid to be investigated is the Bent pyramid, so named because of its sloping upper half. 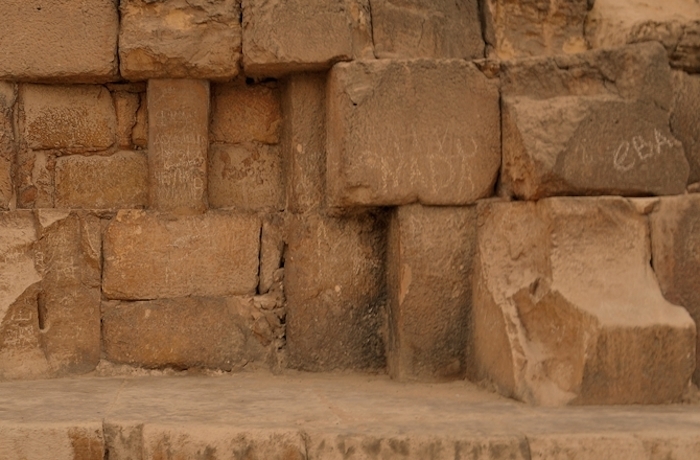 Built by Snefru, founder of the Fourth Dynasty, the monument is the first with smooth faces after generations of stepped pyramids. The monument has two entrances, one on the north side and one on the west side. These entries open on two corridors leading to two burial chambers arranged one above the other. 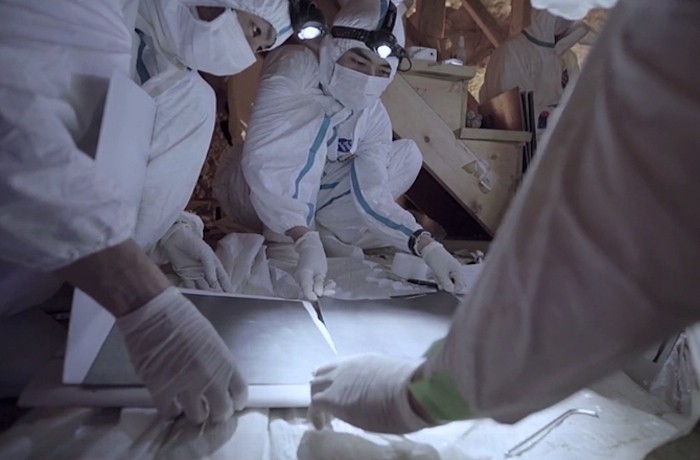 Cosmic-ray muon radiographies are expected to provide more information about its construction. The technology relies on the muons that continually shower the Earth’s surface. They come naturally from the upper layers of Earth’s atmosphere, where they are created from collisions between cosmic rays of our galactic environment and the nuclei of atoms in the atmosphere.